If you’re traveling outside of the United States, you will need a passport. 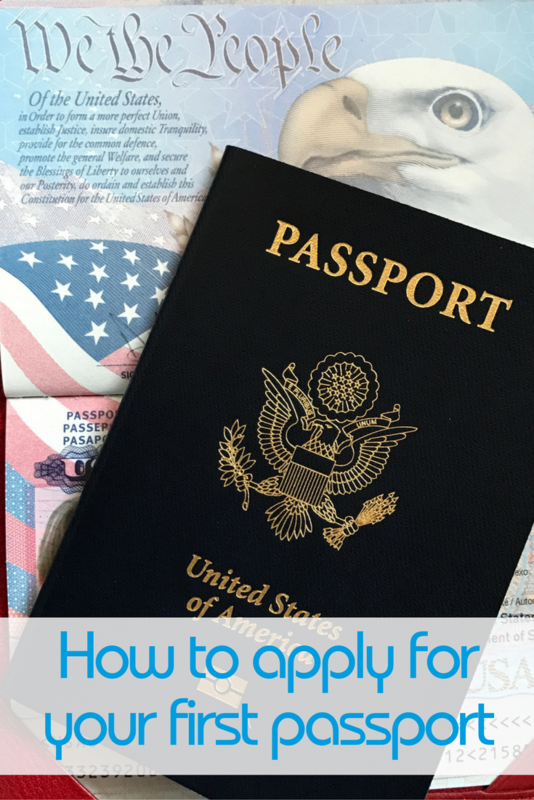 Find out from our TravelingMom with Daughters what you need to know to make sure that your passport application process goes as quickly and smoothly as possible. Traveling overseas? Or are you heading off on your first cruise? Or even just planning to cross the border into Canada? For any and all of the above, a US passport or passport card is now required. I recently applied for my first passport for an upcoming cruise and found the process to be much less intimidating than I’d always expected. If you’ve never applied for a passport before, here’s what you need to know in order to make the process go as smoothly as possible. First of all, make sure you leave plenty of time for your application to be processed before you’re expecting to travel. It can take up to 4-6 weeks to receive your passport so don’t push it with the timing. If necessary you can apply for expedited service, but even that takes 2-3 weeks and costs extra. My passport arrived after only a couple of weeks even without expedited service, but I had built in extra time anyway. 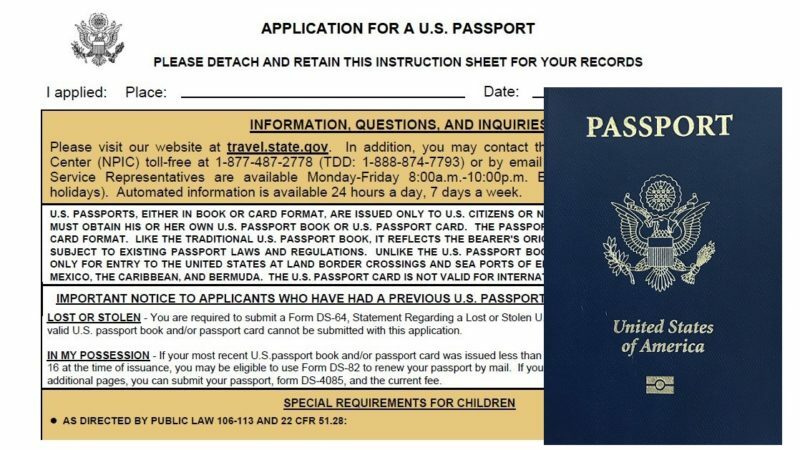 You can fill out the application online (form DS-11) – and this will help save time when you go into the passport acceptance facility. Once you’ve filled everything out, print the entire application to take with you. Make sure you print in black ink, on one-sided pages. 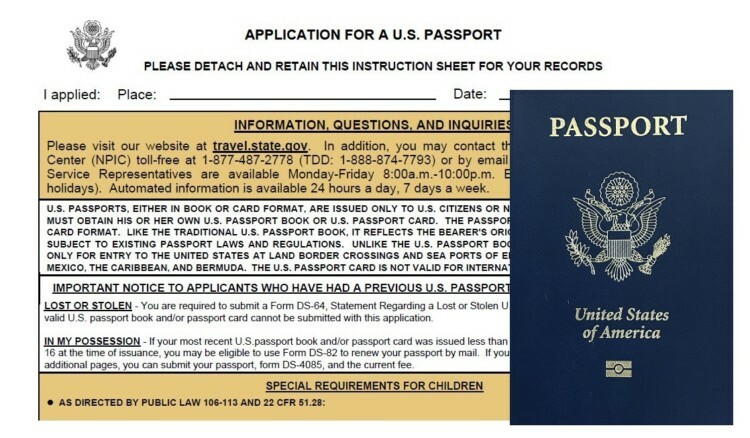 If you aren’t able to fill out the application online, there are paper copies at the passport acceptance facilities. Since you’re applying for your first passport, you must submit your application in person. If you’re not in a hurry, you can apply at a local Passport Application Acceptance Facility. However, if you’re leaving in less than two weeks you’ll need to visit one of the 24 Regional Passport Agencies in the US. Many post offices or city offices are passport acceptance facilities – but not all of them have walk-in hours available. Check to see if an appointment is required before you make the drive! You’ll need to have your driver’s license (or government or military ID) and original proof of citizenship with you when you apply. Also bring a photocopy of both sides of your ID to be sent in with your application. The list of acceptable citizenship proof options is online. If you’re using your birth certificate it needs to be the certified copy that has the actual seal on it. The birth certificate will need to be sent in with your application, but will be returned to you by mail after your application has been processed. It’ll come back to you in a separate mailing from your passport. At many passport acceptance facilities you can get your photo taken right there, or you can have one taken at various retail locations. I went to Walgreens, where I paid $9.99 for two passport photos – versus paying $15 for one photo at my local post office. Not every passport acceptance facility has the ability to take photos, so make sure to check. You can take your own photo if you choose, but make sure it meets the specific requirements for a passport. If you need passport photos taken for your kids, just remember to be patient and build in extra time. Passports are not cheap – so keep this in mind as one of your travel expenses. As of 2016, a basic adult passport (non-expedited), costs $110, plus a $25 execution fee. If you need expedited service to get your passport sooner, it’ll add an extra $60 to your total. The basic passport fee for kids (under age 16) is lower – $80 plus the execution fee. Double-check the fees online before you head to the passport acceptance facility so that you know exactly how much you’ll need to bring with you. The passport fee is paid separately from the execution fee. Not all passport acceptance facilities accept credit cards, so make sure to check before you go. Checks for passport fees need to be made out to the U.S. Department of State. The execution fee is paid directly to the passport acceptance facility. Your brand-new US passport will be good for 10 years and often they can be renewed by mail. Just don’t forget to renew in plenty of time before traveling. However, even if it does expire, all is not necessarily lost. If you’re going to be crossing the border only through Canada, Mexico, the Caribbean, or Bermuda at land border crossings or sea ports-of-entry, you can use a passport card instead of a passport book. This option is less expensive and more convenient, but passport cards can’t be used if you’re traveling internationally by air. Make sure you’re choosing the option that’s best for you and your travel needs. You can apply for them together, although there’s no cost savings other than paying one execution fee instead of two. Great advice Deb. Getting a passport can seem like a big hassle but you’ve broken it down to nice, actionable steps.